Jerusalem (AFP) - Israeli authorities entered a French culture centre in Jerusalem on Thursday to cancel an event, alleging it was to involve an association supported by the Palestinian Authority, a diplomatic source said. 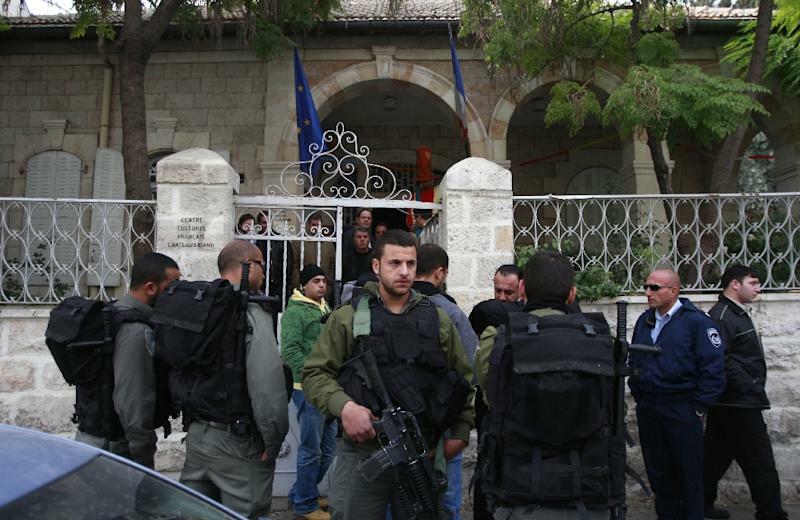 In a rare move, police entered the centre in Israeli-annexed east Jerusalem, the source with the French consulate said. An order posted on the door of the building by Israeli authorities said that the centre, which is connected to the French foreign ministry, intended to host an event organised with a women's association "sponsored or financed by the Palestinian Authority" and "without authorisation." The centre remained open after the police operation.